Quantitative chemistry calculations What is atom economy? Help on how to do atom economy calculations. What is the formula to calculate the 'atom economy' of a chemical reaction? Calculating the atom economy of a chemical reaction is explained on this page - fully worked out examples of atom economy calculations. Online practice exam chemistry CALCULATIONS and solved problems for KS4 Science GCSE/IGCSE CHEMISTRY and basic starter chemical calculations for A level AS/A2/IB courses. 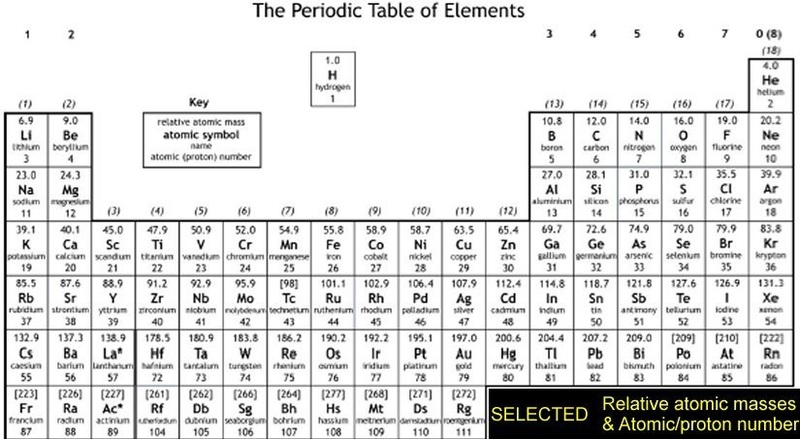 These revision notes and practice questions on how to do atom economy chemical calculations and worked examples should prove useful for the new AQA, Edexcel and OCR GCSE (9–1) chemistry science courses. The atom economy (a measure of atom utilisation or efficiency) is a measure of the amount of starting materials that end up as useful products. It is important for sustainable development and for good economic reasons to use reactions with high atom economy. A chemical reaction may give, and often does, more than one product, but of the mixture of products, perhaps only one of them is the desired useful product. The percentage atom economy of a reaction is readily calculated using the balanced equation for the reaction expressed in reacting masses. perhaps explain why a particular reaction pathway is chosen to produce a specified product given appropriate information such as atom economy, percent yield, rate of reaction, equilibrium position and usefulness of by-products. The atom economy of a reaction is a theoretical percentage measure of the amount of starting materials that ends up as the 'desired' useful reaction products. Its sometimes referred to as atom utilisation. In atom economy calculations you can say REACTANTS or PRODUCTS because of the law of conservation of mass. The greater the % atom economy of a reaction, the more 'efficient' or 'economic' it is likely to be, though this is a gross simplification when complex and costly chemical synthesis are looked at. Many reactions give more than one product, and not all of them are useful, so it is useful to calculate what % of the products is theoretically useful, and we call this the atom economy of the reaction. The reactions that only give one product, have the maximum atom economy of 100% and these are the most economic reactions e.g. synthesis of ammonia and reacting ethene with water to make ethanol. These are simple addition reactions where two reactants give one product e.g. synthesis of ammonia from nitrogen and hydrogen and the synthesis of ethanol from ethene and water. If a reaction gives more than one product it may be possible to use and sell these other products, thereby making the process more economic overall. Whatever, waste products have to be dealt with and disposed of in some safe way, and this costs money! Reactions with a low atom economy are very wasteful and use up resources at faster rate than high atom economy reactions. They are usually less sustainable in the long run and the cost of raw materials will increase over time. e.g. the process may involve non-renewable raw materials which will increase in costs as reserves become depleted. BUT take care on this 'low economy' point, e.g. many products can be recycled and, as already mentioned, the waste products may have some economic value after further separation and processing, known as useful by-product. The less waste there is, the higher the atom economy, the less materials are wasted, less energy used, so making the process more economic, 'greener' and sustainable. Quite simply, the larger the atom economy of a reaction, the less waste products are produced and hopeful the waste is easy and cheap to deal with, or even better, some use can be found for these 'by-products'. It can be defined numerically in words in several ways, all of which amount to the same theoretical % number! If a chemical reaction that has a low atom economy or gives a low yield of useful product research would be undertaken to find ways the reaction can been improved to increase the yield of useful product. You can do the calculation in any mass units you want, or non at all by simply using the atomic/formula masses of the reactants and products as appropriate , and I suggest you just think like that. The formula to calculate atom economy can be written in several different ways and they are ALL equivalent to each other because of the law of conservation of mass e.g. THEY ALL GIVE THE SAME ANSWER! This is illustrated by using the blast furnace reaction from example 14.2a.3 above. Using the atomic masses of Fe = 56, C = 12, O = 16, we can calculate the atom economy for extracting iron. out of a total mass of reactants or products of 160 + 84 = 112 + 132 = 244. It possible to use ethanol from fermentation to produce ethene for plastics (polymers) manufacture instead of relying on the cracking of crude oil fractions (e.g. a country like Brazil with a huge agriculture system but no oil deposits. so the 82.4% of waste toxic carbon monoxide must be dealt with in some way! (ii) you can actually burn the carbon monoxide as a fuel to provide energy for power generation. So, a low atom economy doesn't always mean the process is not economically viable or necessarily produces undue waste. You can use either (a) hydrogen or (b) a hydrocarbon gas like methane to reduce the oxides of metals of low reactivity to obtain the metal itself. e.g. the reduction of copper(II) oxide. Calculate the atom economy of the reaction. (c) Which reaction has the higher atom economy? BUT, would this be the preferential method used? Reaction (a) has the higher atom economy, BUT, hydrogen is probably more costly to produce than cheap methane gas from crude oil. Therefore method (b) is probably more economic. Rather than here, I've added more atom economy calculations to the Reacting mass ratio calculations of reactants and products from equations page.